Today’s dental patient has several choices with respect to choosing a dental care provider. One of the choices pertains to office size. Should you choose the traditional small one or two dentist office, a large chain franchise style practice, or a privately owned and operated group practice? Historically the standard model for a dental practice has been the single dentist who owns and operates his own practice. Dentistry as a profession is moving away from this standard model. The private group practice offers both the patient and the dentist some distinct advantages which I will outline in this three-part series. As a consumer, I always appreciate finding a good value. By value, I mean how the product or service I receive relates to the I price paid. When I pay a very low price, my expectations in terms of quality are minimal, when I pay a high price I expect to receive high quality. Real value is paying average prices and receiving above average quality, in other words getting more than I have a right to expect for the price I paid. So, what factors impact the cost vs quality equation in dentistry? How does a group practice offer the patient greater value? Dentistry has evolved into an equipment and technology intense profession. Equipment and technology is expensive and expires quickly. 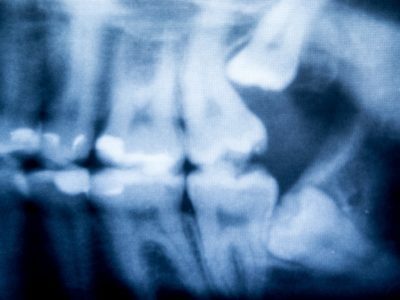 Let’s consider a simple example – the digital x-ray sensor, the small square of plastic covered electronics the dentist places into your mouth to take an x-ray image. In the past, this job was done by a piece of x-ray film that cost less than a dollar, and the film was developed by hand-dipping it into a series of chemical solutions. The modern digital x-rays offer the patient many significant advantages. These sensors we use now sell to the dentist for $10-15,000 per sensor. And, that does not include the computer and monitor and software you need to attach to the sensor to be able to read the images. You can easily see how difficult it becomes for a small practice with only a few patients to afford to purchase current technology. Now add the panographic x-ray machine that is standard in most dental offices, the machine that goes around your head to take an x-ray of your entire jaw. These machines now cost in the range of $40-50,000. How does the small one doctor practice with 1000 current patients afford to purchase a couple of sensors and a pan machine? Either the dentist tries to practice dentistry without the modern technology or he significantly raises prices to cover the cost of the technology. This is where a group practice has a huge advantage for the patient. The technology costs the group practice of 6 dentists and 6,000 patients, the same as it costs the solo dentist. However, the cost is shared across a much larger group of patients. So, from the patient perspective, the patient can get the benefits of the new technology while sharing the cost of that technology with more people. This same sharing of costs applies to everything in the office from the office computer system, to the office space itself. So, a group of dentists working together to serve a larger group of patients can afford to offer their patients the best dentistry has to offer while providing the service at fees that are typically equal to or below those fees charged by the smaller one or two doctor office. The typical dentist treats patients about 36 hours per week. In the one doctor practice, this is traditionally 8 – 5 Monday – Thursday and a few hours on Friday. Occasionally the dentist may add a couple of evening hours or Saturday hours. Most dentists did not choose the dental profession with the expectation that they would be away from their families working nights and weekends. However, in a group practice, where several dentists are working together to cover the needs of the patients, dentists each work a few non-traditional hours thus permitting the practice to offer its patients a significant number of appointment options outside of the usual 8 – 5. Working patients and busy parents often find early morning, evening, and Saturday hours more convenient than the traditional 8-5. Offering these hours is not a hardship for the dentist because the hours are shared. Speaking of hours, we all need some down time. In the solo practice, what happens when the dentist is away from the office? If a patient of that practice has an emergency, whom do they see for assistance? Ideally, the dentist will have arranged for a colleague to provide emergency coverage. However, to the patient, this means finding the office of the covering dentist, meeting the covering dentist, managing the difference in office policies. And, the covering dentist will not have access to the emergency patient’s records. In the group practice, the dentists can cover for each other within the same office. 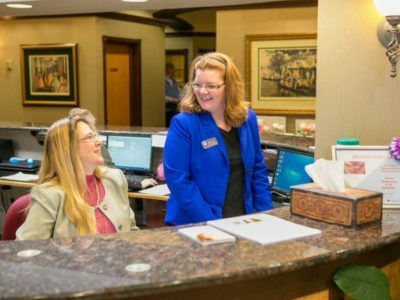 So, not only is the office able to offer greatly expanded hours, but a dentist of the practice can be available to care for the emergency patients of the practice at all times. For the patient with the problem, they can be seen in the same office, with the same staff, and with full records in place even when their usual dentist is away. A much easier experience in the midst of an emergency. In summary, by working together the dentists in the group practice are able to provide modern technology in a nicer facility at more convenient hours and continual emergency assistance, all at prices equal to or less than the small solo practice.